If there’s one thing you should know about me it’s that I’m a massive feminist. Although I’m a big believer in celebrating women 365 days a year, I do like to make an extra special effort on International Women’s Day so on 8th March 2019, I decided to wander around Manchester with the intention of meeting wonderful women and taking fabulous photos of them to mark the occasion. In theory, I loved this idea. 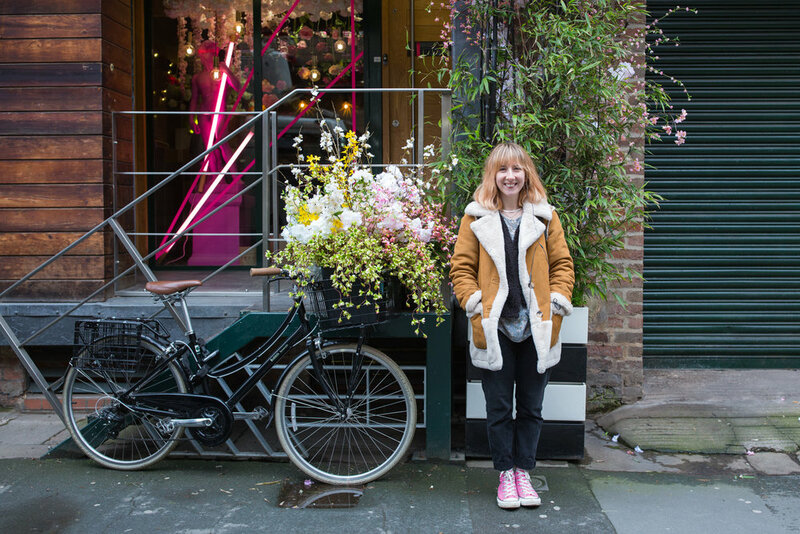 It seemed like the perfect way of combining the things enjoy – meeting people, creating, giving something back and shooting around Manchester. 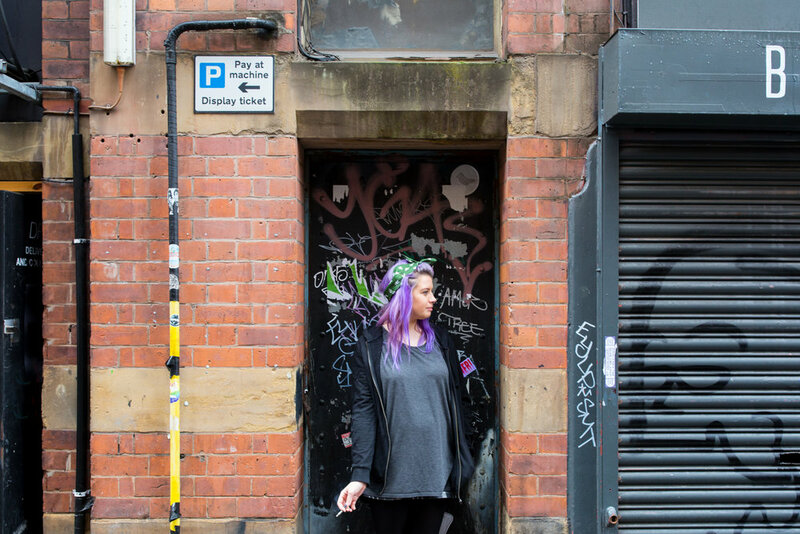 However, the reality meant this would involve stopping people in the street, asking if I’d be able to take their photo whilst trying to assure them I’m not just some weirdo with a camera. Smile more – if you smile, people smile with you. It’s infectious in all the right ways! Get off your phone – pay attention! You’re missing everything!! A huge thankyou to all the wonderful women who stopped, chatted and made my day by sparing a few minutes to step in front of my camera. No matter how tough and personally challenging it was, I couldn’t think of any other way I’d rather have spent my International Women’s Day. Maybe I’ll do the same thing again next year?! Hopefully see some of you there! It’s no secret that the age-old tradition of marriage is firmly rooted in the patriarchy, which can sometimes make it difficult for modern couples to figure out a way to marry that works for them. 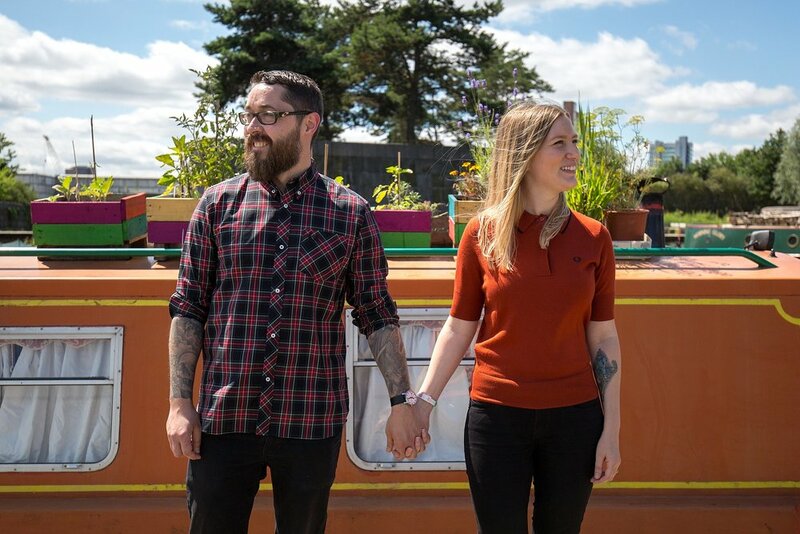 However, Brid & Mike absolutely nailed it by adopting an equality-focussed approach, centred around a simple but very important theme - them, their shared life and their love of music. 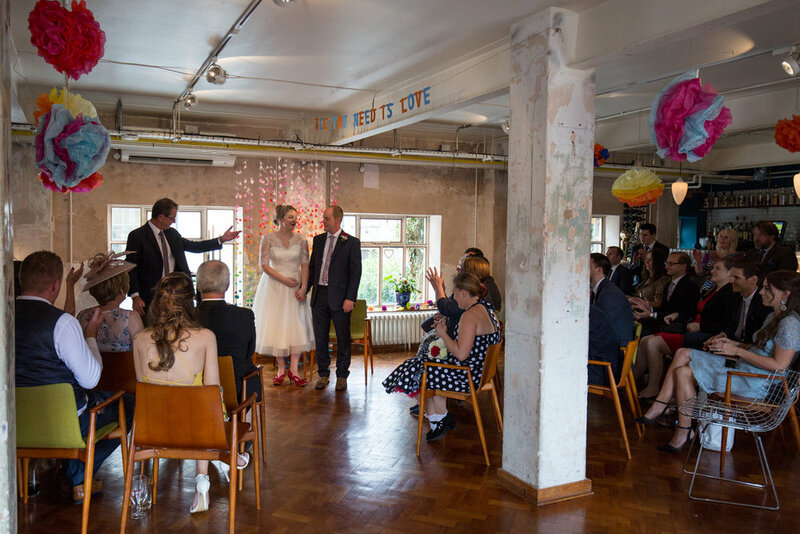 Brid & Mike opted for a quirky, alternative wedding venue in their hometown of Dublin. Drury Buildings, an old factory come swanky bar, restaurant & events space was the perfect blank canvas for their laidback, intimate celebration. They decorated the space with homemade rainbow pompoms, 1000 hand-folded paper cranes and huge helium balloons that said “TEAM US”. Brid looked utterly amazing in her Dirty Fabulous Vintage dress with her sparkly red Irregular Choice shoes and Crown & Glory birdcage veil. Both her mum and dad accompanied her down the aisle which was Brid’s way of honouring the important roles both parents had played in her life. They had a short, personal humanist ceremony, inviting all guests to participate in a ring warming – a great way to include all guests, allowing them to bring their own beliefs in a private and meaningful way. Brid & Mike’s mums both lit candles to symbolise both families and they incorporated personal readings from friends. After the ceremony, Brid & Mike popped off to enjoy their first pint of Guinness as a married couple and of course, I wasn’t far behind with my camera (with permission of course!!) We couldn’t resist a few snaps in a nearby record shop before heading to one of their favourite bars with people showering them with well wishes all the way. After a slap up meal and speeches from Brid, her dad, Mikes best man and a few words from Mike, David Bowie’s “Let’s Dance” provided the perfect soundtrack for their first dance with a serendipitous nod to Brid’s red wedding shoes and the night was partied away in style. When the bride drinks from a hip flask that reads "I don't get drunk, I get AWESOME", you know you're in for a fun wedding! Bobbi & Graham tied the knot with a quirky, colourful celebration at the incredible Victoria Baths. They had 'hopfetti' (confetti made of hops as a nod to their love of beer), home-brew and brought the strongest footwear game I've ever seen! There were space hoppers, floating lampshades and a super cool alternative to a traditional top table. Wanna know more? Turn up the volume and feast your eyes on the highlights video below! Pretty amazing, eh?! I loved how Bobbi & Graham did things their own way and let their imaginations run wild to create a really unique and memorable day, filled with love and laughter. And Victoria Baths is still firmly my number one wedding venue so hit me up if you're looking for someone to capture your big day! Beer: Hop Hat Brewing Co. When you start planning your wedding there are so many things to think about - what sort of venue should you go for, what setting feels most 'you', what type of vibe or theme do you want... the list is endless! So what happens if you're torn or just can't decide?! Simples! Have a couples shoot before the wedding as well! An engagement shoot is a great opportunity to get to know your photographer, to learn how they work and even pick up a few tips ahead of the day so you know what to expect. It’s also helpful for your photographer to understand what you’re comfortable with and how to get the best out of you. Usually, the thought of being in front of the camera is actually much worse than the reality of it. Frantic thoughts of "How should I stand? What do I do with my hands? Where do I look?" will all be laid to rest with top tips and expert guidance from yours truly. Before you know it, you'll be killing it on camera! It might be somewhere that holds a special place in your hearts. It could be that you really want photos in a setting that totally contrasts with what you have planned for your big day. An engagement shot means you can get married on a farm but have photos on the beach or have photos in the woods and a wedding in a warehouse. The options are endless! Add a personal touch by using your engagement photos for your save the dates, wedding invitations, guestbook or even wedding decor on the day. Below are a bunch of real couples who "didn't like having their photo taken" but I'm sure you'll agree, they do a pretty good job of looking rather smashing in front of the camera! If you want to find out more about engagement shoots or would like to discuss my wedding photography packages, please get in touch via my contact page! A grade two listed building, this old Edwardian swimming pool complex combines striking architecture, original features and a huge variety of unique spaces that promise to offer a truly unforgettable setting for your wedding day! A blank canvas so that you can coordinate, decorate and cater your wedding day however you like. Exclusive hire of all spaces and the freedom to pick what happens where. You can also include a venue tour for your guests! Weatherproof! With bags of character and original features, Victoria Baths has something for everyone and you won’t want to leave the building! Manchester Museum offers a truly unique setting for your wedding day. Say "I do" under a t-rex, venture through the living worlds gallery to your wedding reception and party the night away under a giant Buddha statue! 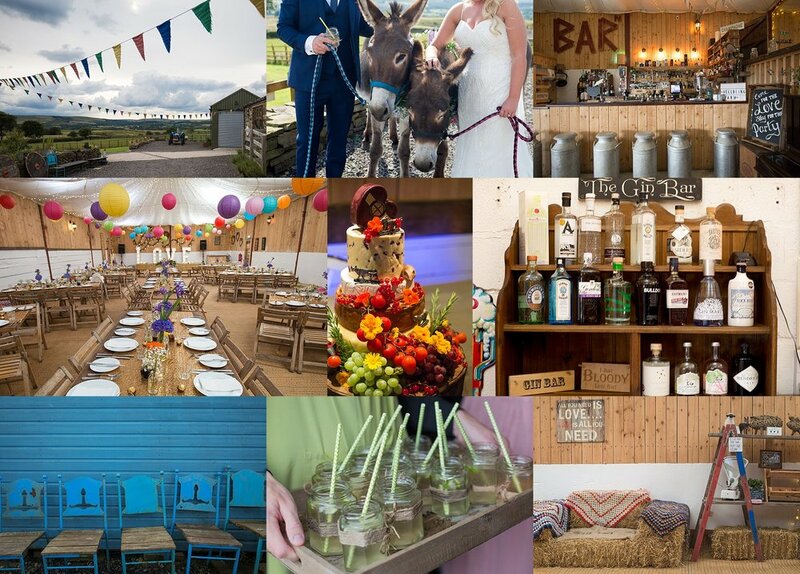 The Wellbeing Farm is an award winning fun, rustic wedding venue based near Bolton. 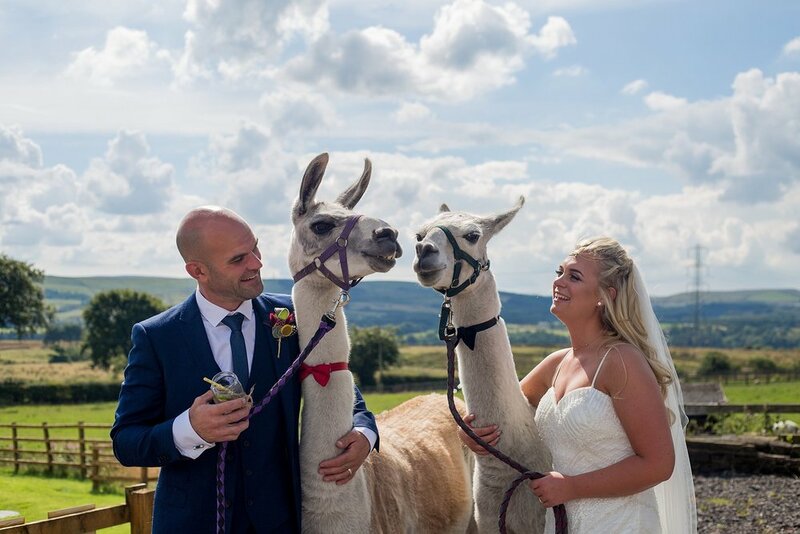 With llamas, donkeys, alpaca and bags of character, this is the perfect spot for a quirky countryside wedding with a difference. 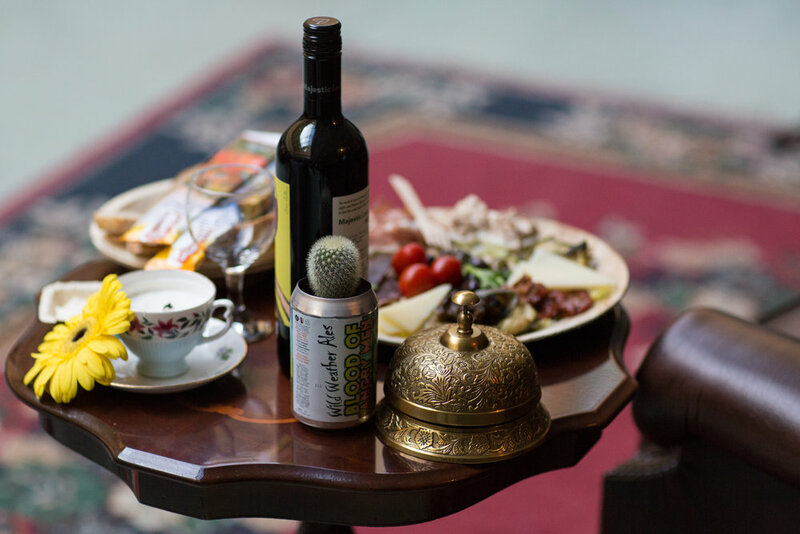 An ultra quirky boutique hotel located centrally in the beautiful city of Chester, Oddfellows describes itself as having "character, charm and a little bit of 'odd..." Think mad hatters tea party meets The Mighty Boosh and you're half way to picturing how awesome it is! A stunning, Grade II listed Victorian glasshouse located in Sefton Park, surrounded by 235 acres of greenery with a waterfall, bandstand and boating lake nearby. Not only is the building itself a sight to behold, the surrounding area makes this a perfect setting for an extra special wedding. Great for weddings of al sizes, this venue can comfortably seat up to 220 guests! Nestled in the rolling hills of the Derbyshire countryside, Thornsett Fields Farm is a working dairy farm and the perfect blank canvas for a super memorable wedding day. With a recently renovated barn and the flexibility to do what you want, the options really are endless. 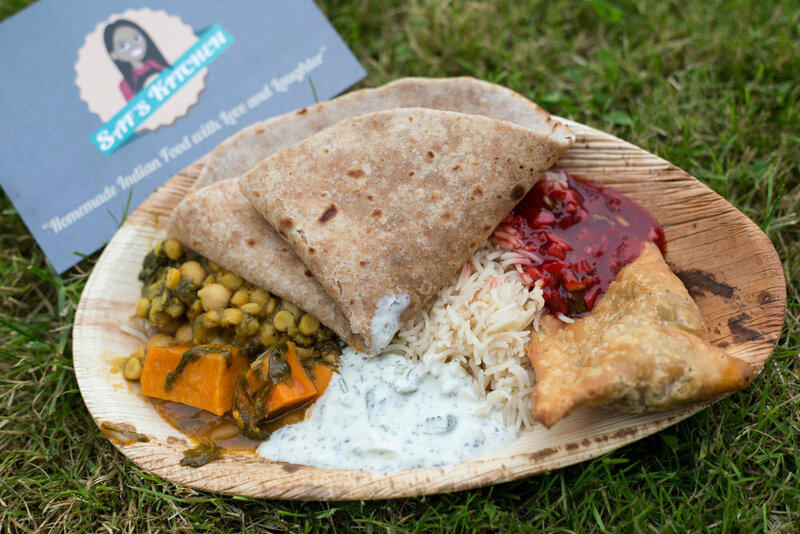 Set up a tipi, bring a camper van or pitch a tent to stay onsite and really make the most of it all! Speaking of tipis, if you're planning a festival-style wedding, you need to check out Big Chief Tipis. An award winning wedding supplier based in North Manchester, they cover events across the UK and pride themselves on helping to make dreams into memories. Customise your tipi with rustic furniture, heaters, a dance floor and a disco ball! If your looking for a more relaxed urban wedding, a pub venue could be just the thing for you. Paradise by Way of Kensal Green offers a colourful and quirky setting with tonnes of space, charm and character. 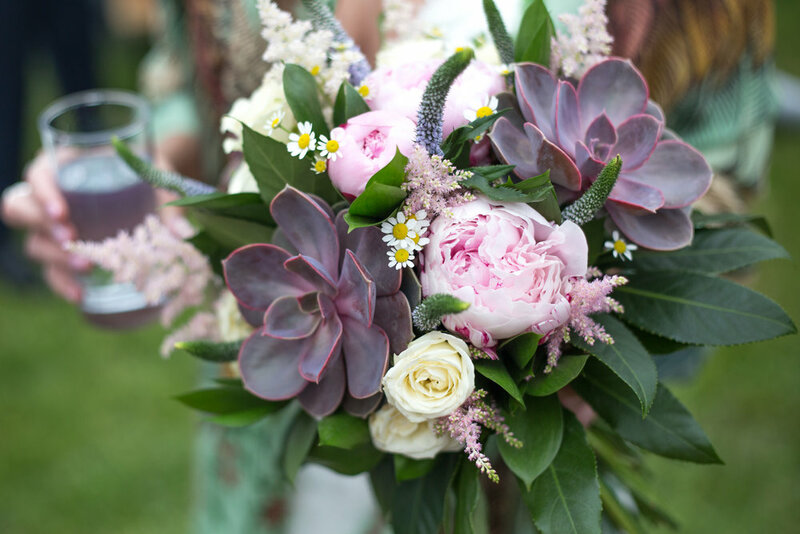 Why not turn your wedding day into a wedding weekend at fforest Farm? With 200 acres of land, tipis, barns, fire pit and a tiny little old stone pub onsite, this could be yours exclusively for up to 250 guests for 3 nights! Once a derelict 6-story factory in central Dublin, this has been transformed into a shabby chic bar, restaurant and events space that is packed with colour, character and charm. Perfect for modern couples looking for a quirky city centre venue in the heart of Dublin. If you're looking for a creative photographer who shares your love of all things wild, wacky, weird and wonderful, head to my packages page to find out more and feel free to get in touch if you had something different in mind. 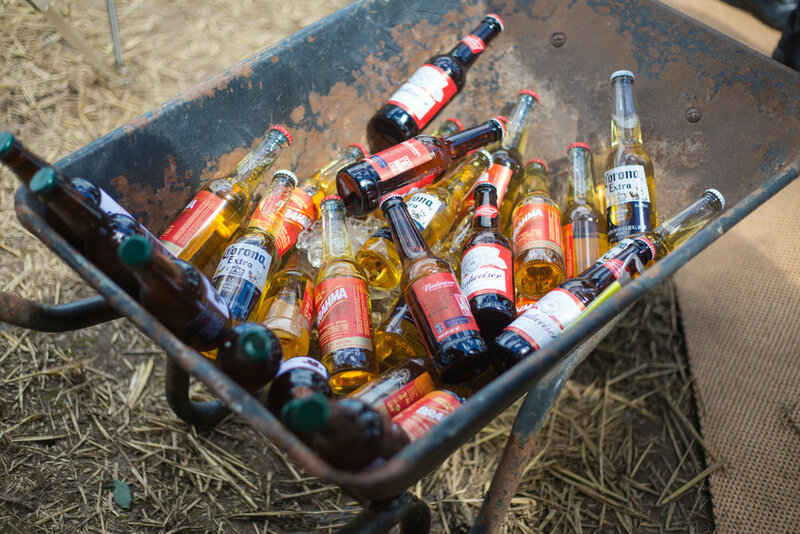 After all, variety is most definitely the spice of life! Victoria Baths has always been one of my favourite Manchester wedding venues. A grade two listed building, this old Edwardian swimming pool complex combines striking architecture, original features and a huge variety of unique spaces that promise to offer a truly unforgettable setting for your wedding day! A short drive from central Manchester, Victoria Baths is nestled in an unassuming residential street. The remarkable building opened to the public as a swimming pool complex in 1906 and has three main pool areas - one for first class males, one for second class males and one for women. Not only is this an architectural gem, it also provides important insight into societal progression over the last 100+ years and gives us a little glimpse of how different things used to be and how far we have come! Victoria Baths hasn’t been used as swimming pool for many years (apart from occasional one-off events) but instead, hosts all sorts of events, ranging from weddings, festivals, performances and has even provided a film set for many popular TV programmes over the years. Heres a few of my favourite things from Jess & Sarah's recent Victoria Baths weddings with some insight into why I love Victoria Baths weddings so much! Victoria Baths provides a blank canvas so that you can coordinate, decorate and cater your wedding day however you like. Whether you want paper lanterns, palm trees or pom-poms, you can make your vision a reality. You have exclusive hire of all spaces and the freedom to pick what happens where. There are 3 pools, the Turkish Baths with it’s beautiful stained glass, the light and airy Pineapple Room and the flat upstairs. Spread your day out around the venue and and why not include a venue tour for your guests! This venue has sooooo much character, from the original changing rooms with wooden frames and stripy curtains to the rich green tiles of the entrance hall and staircases, the incredible stained glass to the exposed brickwork and wooden floorboards of the flat upstairs. 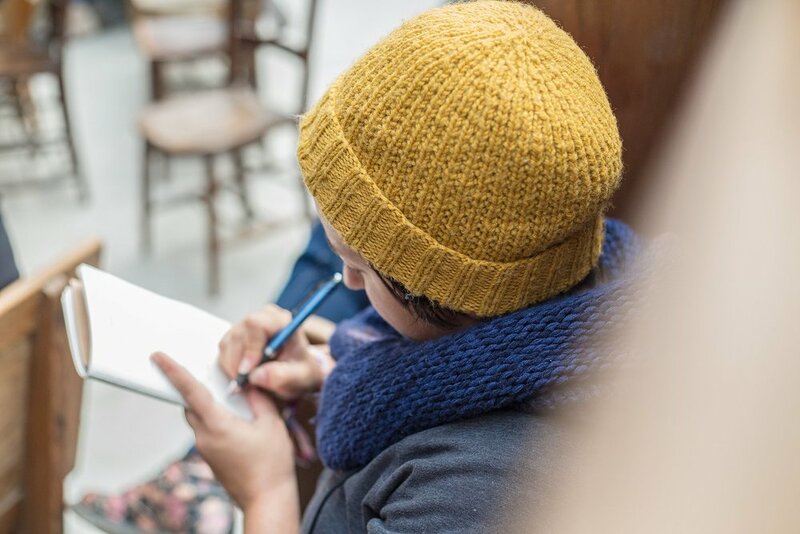 Victoria Baths has something for everyone and you don’t even need to worry about rain on your wedding day because you won’t want to leave the building! I could never tire of shooting weddings at Victoria Baths. I see something new every time I’m there, the opportunities are endless and each couple makes the space uniquely their own. This venue is a labour of love, being restored bit by bit by a team of trustees and volunteers who are committed to preserving this important piece of Manchester’s heritage and sharing it’s wonder with people far and wide and hosting your wedding here means that you are part of that exciting quest! If you’re getting married at Victoria Baths and you’re looking for a local, creative photographer who shares your passion for this remarkable venue, contact me to find out more! I learnt a lot of really important stuff last week. I realised the severity behind the lack of diversity and inclusion in the wedding industry. I heard about how music can be used to drive creativity, energy and mindset in a photography context. I discovered an almost insatiable love of 'Welsh Dragon' cider. But above all, I learnt about the importance of being you, not what you think people want you to be. 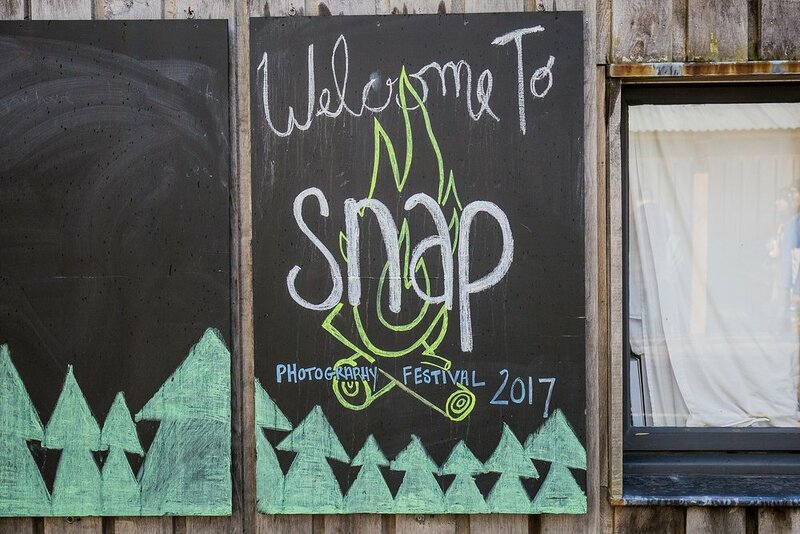 This was my second visit to SNAP and it was amazing to get back to Fforest in West Wales. I forgot how good it feels to be off grid, almost forced to be in the moment in the idyllic setting of the rolling Welsh countryside. Yes, it was cold and yes, there were wild hail storms and threats of snow but it was totally worth it! The schedule is made up of talks, workshops and socials, including wild swimming, a trip to the beach and, this year, a surprise iPad scavenger hunt. But the ethos is clear: TAKE WHAT YOU NEED. Everything is optional but, the beauty of it is, nothing feels like a chore because the community is so special and everyone is in it together, sharing, learning and having fun. So, what's next? Over the coming days, weeks and months, I'll be processing ALL the ideas to figure out what works for me, my business and my couples. However, there's a few broad topics that I will absolutely be focussing on in some way, shape or form. If you're getting married and looking to do things differently or would like to collaborate on a styled shoot, creative project or community venture, I'd love to speak to you so please get in touch! Emma & Oliver organised their wedding in just 4 weeks! Friends and family joined forces to help create a day of understated elegance with fun for all the family at St. John's Church in Woking (Oliver's family church). They're special day focussed on family with lots of DIY touches to give it a collaborative and personal feel. Emma spent the morning getting ready at Oliver's parents house which was a hive of activity, filled with friends and family that had travelled from across the UK and overseas. Our bride wore a beautifully chic dress from Ghost (unbeknown to her it was the ivory version of the dress worn by Spectre's Bond Girl), teamed with a veil from Debenhams, shoes from New Look, her grandma's pearls and an autumnal bouquet from Ring-a-Roses. They were married by a close personal friend, a vicar who had travelled from his parish in Hull to lead the ceremony. Although the day got off the a drizzly start, it brightened up later on, providing some outdoor play time for small and big kids alike! The groom and ushers wore suits from Hugh Harris. Champagne afternoon tea was served in the adjoining function room where friends and family congregated to celebrate before the bride over a glass of bubbly and a piece of cake made by Oliver's mother. The bride and groom then made their way to start their honeymoon at a local hotel & spa before heading off on a romantic trip to Venice. What a perfect end to a perfect day! Danielle and Andy opted for an intimate wedding in Las Vegas which they tied in with a honeymoon in Mexico so they celebrated in style with family and friends when they returned to the UK. Their venue of choice was Monton Sports Club with the cake and decorations provided by Cakes & Celebrations and Love in Lights NW and food provided by Blacksticks. I first met Myroslava & Callum when Myro & I were both stallholders at an arts & crafts fair a few years ago. An illustrator operating under the name Myro Doodles, she had fantastic handmade cards and canvasses and was drawing henna-type patterns all over peoples hands. I knew immediately that she was my kinda girl! Fast forward a couple of years and I was thrilled to be asked to capture Myro & Cal's special day. I knew it would be lovingly styled with the most fabulous little details and it didn't disappoint! Myro roped in her family and friends to help with the decor for the day. Between them, they decorated 200 bottles and jars for their centrepieces, made wooden signs to pay homage to their favourite watering holes, sewed sequin and lace table runners and cut 500 meters of bunting from grandma's old net curtains. Myro made her table plan from her grandad's old suitcase and made her own confetti from flowers in her grandmas garden. She designed and illustrated wedding guides for all the guests, explaining the many Ukrainian traditions and opted for hand-drawn doilies instead of place settings. The setting for the day was Tarasivka (affectionately know as the Field of Dreams) which is a piece of land owned by the Ukrainian Youth Association and a spiritual home for Myro and more recently Callum. They had a Ukrainian wedding ceremony, packed with traditions at a beautiful outdoor chapel, surrounded by their nearest and dearest. Myro wore a shell pink custom made dress from Erica Stacey Bridalwear and her bridesmaids wore pink and gold dresses from Chi Chi London with flowers from Ivy Florist. The chaps wore grey and blue - a nod to Callum's beloved Coventry City FC. 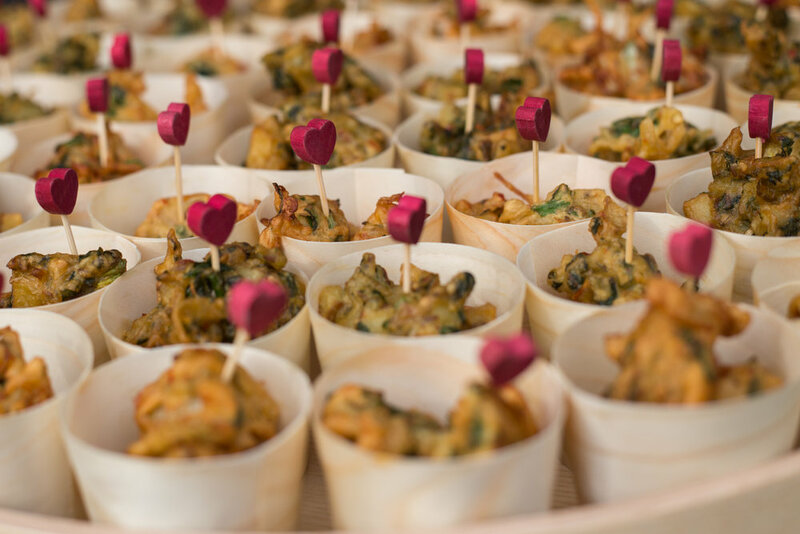 Food played a big part in the day with homemade Ukrainian delicacies, a hog roast, a huge paella, curry and a fabulous Ukrainian inspired wedding cake by Yolk. There was plenty of vodka flowing and a combination of traditional Ukrainian dancing and the fine sounds of the Twisted Tubes took us right through to the wee hours. Gemma & James got engaged in Spain so it seemed fitting to return to tie the knot. Accompanied by their nearest and dearest, they spent a week at Villacana, Estepona and their wedding celebrations took place overlooking the sea at Tikitano Beach Restaurant & Lounge. This stunning wedding goes to show that you don't have to spend a fortune to have the most perfect day. Gemma wore a stunning lace dress was from BHS, the chaps outfits were from H&M and the bridesmaids dresses were found on Amazon. But who can resist some super special shoes for their big day? Gemma added a bit of bling with some killer heels from Kurt Geiger. Feast you're eyes on this! This time last year, I decided to do something different - something that was both scary and exciting in equal measures and something that would take me waaaaaay outside my comfort zone. Yep, thats right, I decided to enter the wonderful world of wedding photography! And what a year it has been! This year has taken me all over the UK: from a country house in the midlands to a beautiful church in Surrey, a boutique hotel in a walled city to an old army barracks, now referred to as the 'Field of Dreams'. I even made it over to Spain for a fabulous sun-kissed ceremony by the sea! I love all the little details that make a wedding day so special - the flowers, the cakes, the decorations. I've had the pleasure of working alongside some of the most talented wedding creatives and it's really helped to inspire my photography further. There's been laughter and there's been tears. We've raised a glass to absent friends and partied long on into the night. And it's been a privilege to be there to share those beautiful moments and document them as a timeless memory for generations to come. So here's to a future full of happiness and health to all my fabulous 2015 couples and to all those who have helped me through my first year as a wedding photographer. Thanks so much and fingers crossed for an equally marvellous 2016!